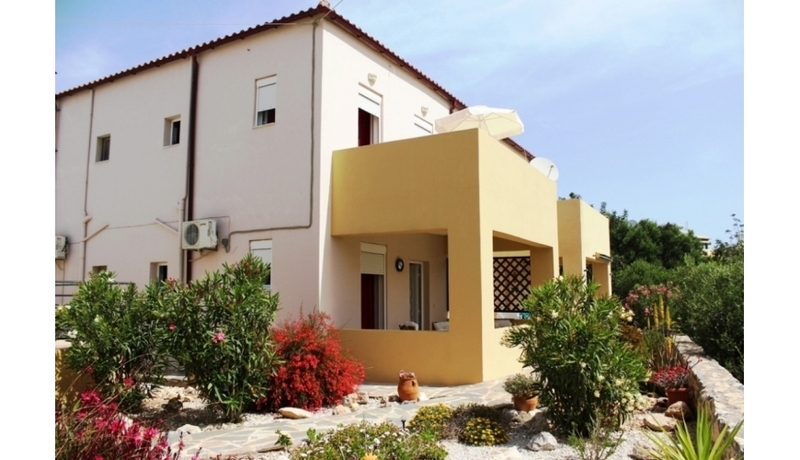 A lovely 2 bedroom property with panoramic mountain views in the traditional village of Neo Horio. With a shared splash pool and spacious outdoor areas this villa is perfect for Holidays, rentals or for longer term living. 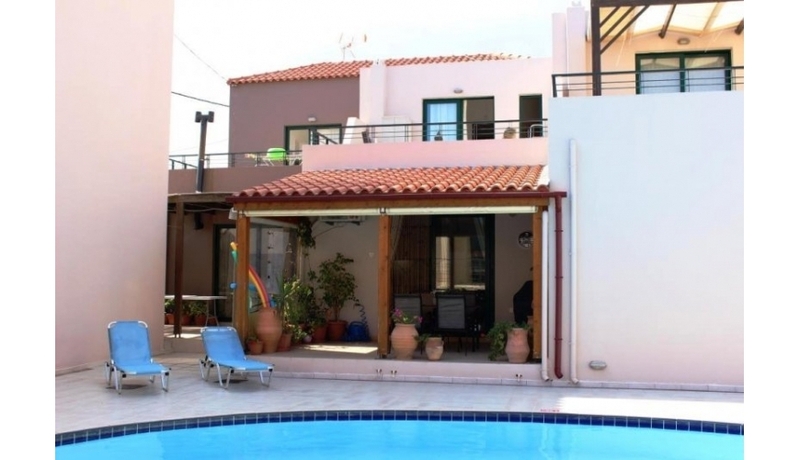 This lovely property, completed in 2003, is set in a fabulous location overlooking the countryside and mountains of this idyllic part of Crete. Set above the traditional village of Neo Horio with its many shops, tavernas and cafes it is only minutes from the larger village of Kalyves. It is also close to the main highway, providing easy access to the surrounding towns and airports. The property itself is on 2 levels. The lower floor is a spacious open plan kitchen, living and dining area. The fully fitted kitchen has all appliances. There is additional storage space under the stairs and also a shower room on this floor. Doors lead from this area to the very nice covered front terrace with pull down blinds for outdoor dining and also a BBQ space. The upper floor has 2 good sized double bedrooms both leading to the upper terrace which enjoys beautiful views of the surrounding area. Also on this floor is the main bathroom with a full bath and washing machine. The property has a small circular swimming pool and sun terrace area shared only with the next door villa. There is parking down at road level and there is also additional access track and parking to the rear of the property. The property is sold including all fixtures, fittings and fully furnished —making this a home which is ready to walk into. What does 1 plus three result in?